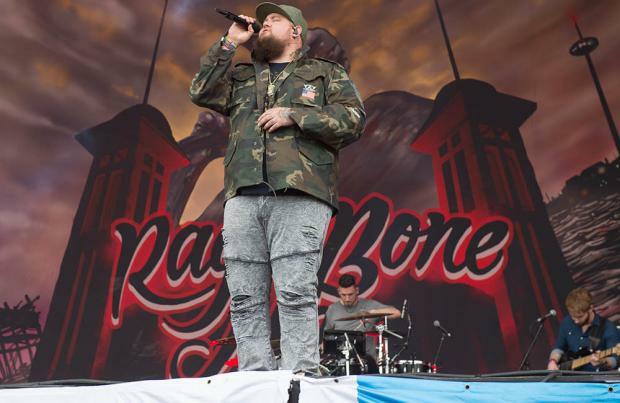 Rag 'n' Bone Man will headline Vevo Halloween on October 28. The 'Human' hitmaker will be joined by Jonas Blue and JP Cooper at the annual spook fest at Victoria Warehouse in Manchester, Northern England. On his most-frightening gig yet, he said: "Big up the Vevo team for having us on the bill for their annual Halloween bash this year ... there will be blood!" Jonas Blue will be joined by his 'Perfect Strangers' collaborator JP Cooper at the concert and is bringing his live band with him for their latest concert of the year. Jonas - whose real name is Guy Robin - said: "Amazing to be asked to bring the live band to the stage for Vevo's Halloween event next month, it's the last live band show of 2017 so we'll be sure to make it a special one." And JP - who recently announced his new single featuring 'Stormzy' 'Momma's Prayer' - plans on celebrating his birthday early on the night. He added: "I can't quite contain my excitement for this gig. As a kid I was always so excited about Halloween and loved getting dressed up. "From what I've heard, Vevo have really pulled out all the stops for this. I'm so grateful to be a part of it. "I'm treating it as a bit of an early birthday party, we're gonna have a lot of fun!" Vevo Halloween showcases the best new acts hitting the music scene, with all of the performers cherry picked by the video hosting service as part of its 'LIFT' programme, which helps tell the stories of the most promising musical talent. This year sees rising rap star Yungen, Vevo's newly announced LIFT act, make his debut at the gig. Previous years have seen the likes of James Bay, Years and Years and Zara Larsson take part, and Vevo Halloween will enjoy its strongest line-up yet in 2017.